Patrick has a long history of outstanding performance in the luxury sales market, and a proven track record of success meeting the needs of a discerning clientele. He came to real estate from a highly regarded career in fashion working for some of the top brands in the business, earning ongoing accolades for his commendable service and outstanding performance. Patrick's keen eye for design and the potential of a space, honed while working in sales for luxury brands, are invaluable when showcasing properties to attract attention and the highest price. Drawing on his resourcefulness and marketing talent, this discerning real estate professional has built a reputation for his ability to optimize exposure for his listings using the latest technology, and for selling or leasing properties that have sat vacant in the past. 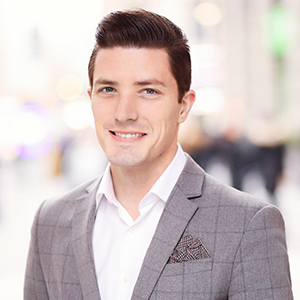 Whether you are trying to sell your apartment on your own or are dissatisfied with your previous experience, Patrick is the go-to expert for ensuring a smooth, successful deal.